The general counsel of General Motors, Chevron Phillips Chemical, LyondellBasell Industries, and American Air Liquide Holdings all once worked at the now-shuttered litigation boutique Beirne, Maynard & Parsons. (L-to-R): Kevin Feeney, GC at American Air Liquide Holdings; Timothy Hill, GC at Chevron Phillips Chemical; Craig Glidden, GC at General Motors; and Jeffrey Kaplan, GC at LyondellBasell Industries. It is common knowledge that many of corporate America’s general counsel start out as associates in Big Law. 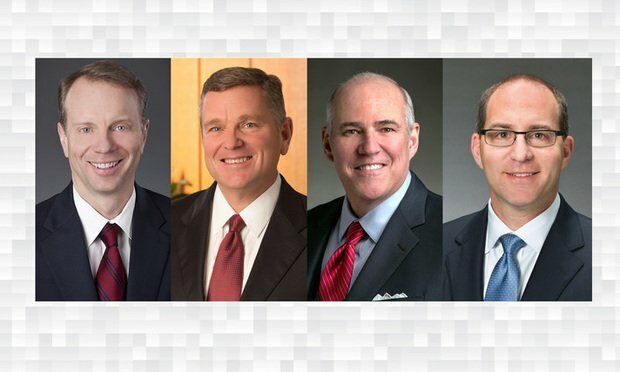 But for at least four prominent GCs, including the chief legal officer of General Motors, that’s not the case: They all cut their legal teeth at Beirne, Maynard & Parsons, a midsized litigation boutique that closed in 2016.